One of the easiest ways to stay organized, especially during the gift-giving season, is to have gifts on hand for last-minute situations. Stock a small area in your home with gift cards, cosmetic items, candles, hand towels, cookbooks and an assortment of home fragrance items. Small food items in pretty packaging and champagne are also useful to have on hand. Keeping a container of gift bags, tags and cards will trips to the store at the eleventh hour. Avoid the embarrassed feeling of forgetting someone, like the mailman, on your very long list. You will be happy you have these gifts in your back pocket to brighten someone’s holiday season. 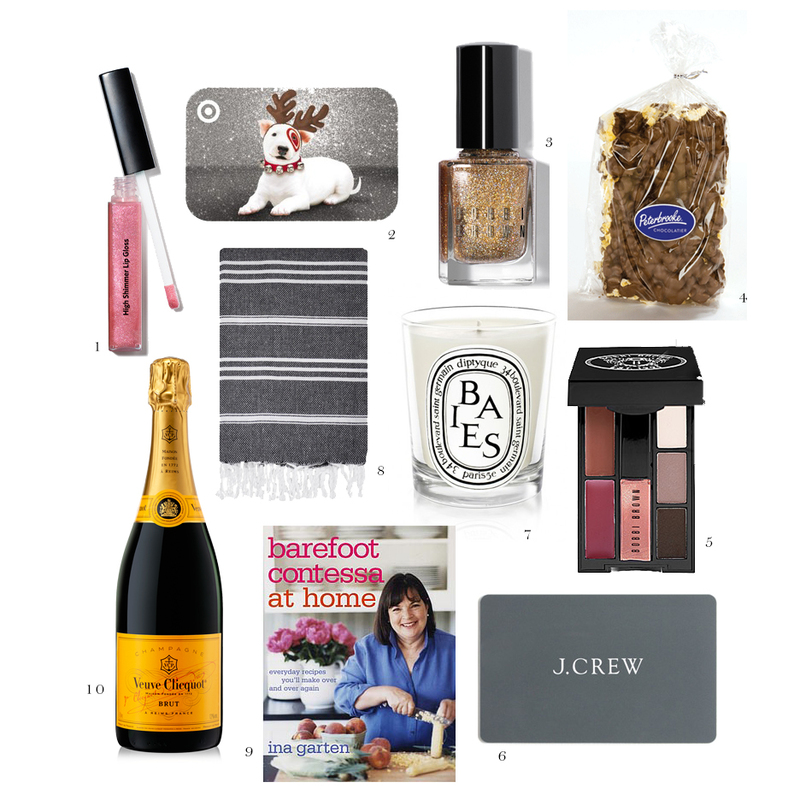 Below are some crowd-pleasing gifts we like to stock at home.